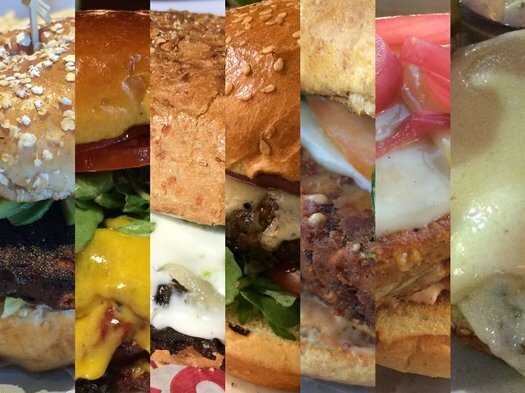 We've had a string of burger-related posts this week -- a sort of fast-casual theme week. And now we're finishing up with Greg taking a look at burgers that don't involve meat. I like veggie burgers. A lot. And in the past year I've easily eaten more veggie burgers than regular meat burgers. + I've been trying to eat less meat for environmental reasons. + I think veggie burgers are interesting from a culinary standpoint because they're a different spin on something that's so common in our food culture. Looking through the pass into the kitchen at Crave. We have a string of burger-related posts this week -- let's call it a fast-casual theme week. Burgers are burgers -- some places might execute better than others, but when you get down to it, everyone pretty much has the same thing, right? That's not the case at Crave, which recently opened at the corner of Western Ave and Quail Street in Albany. Co-owners Devin Ziemann and Kaytrin Della Sala have created a menu of more than 20 different types of burgers that spans from the classic American cheese burger, to a lamb burger with curry mayo, to a French onion burger, to a turkey burger inspired by pastrami, to a kung pao shrimp burger. "We get people in here three, four times a week trying to conquer the menu," says Ziemann, a chef who headed up other kitchens around the Capital Region before he and Della Sala decided to open something of their own. "The list is so big because there were so many [burgers] that we were, like, we can't get rid of that one, it's awesome." As we made our way along the tasting tour of the new-school burger chains, you didn't think we'd skip the fries, do you? That just wouldn't be right. And we came to a very important conclusion in doing so. 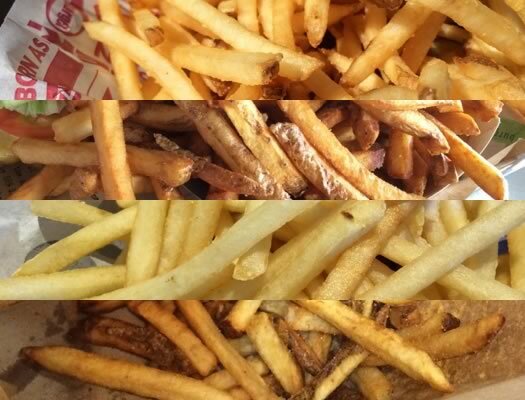 Mainly that, when confronted with mediocre fries, we'll continue eating them even though we know we shouldn't. 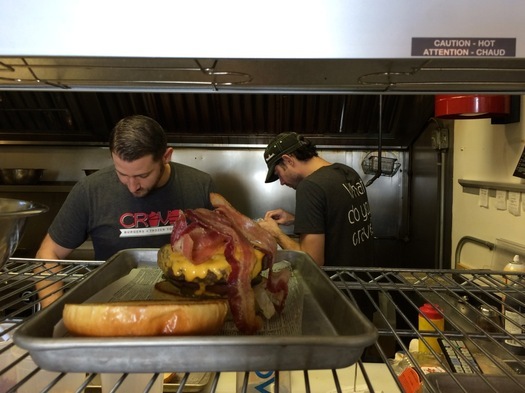 There's been a recent boomlet of new-school burger chains in the Capital Region. 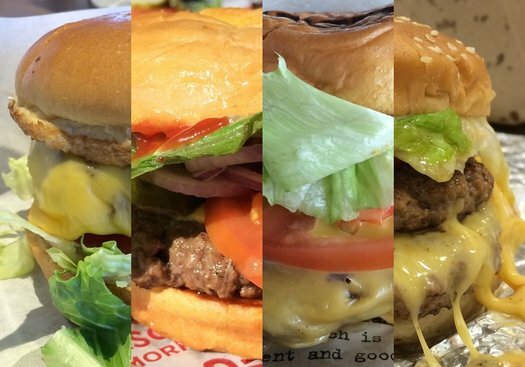 Smashburger, Burger 21, and BurgerFi have all opened locations here during the last year or so, with at least one other chain still planning an arrival. And, of course, there's Five Guys, which has been here for years. These are all fast food places, but their pitches are something sort of along the lines of Chipotle -- fast food with the aim of higher quality and nicer experience. So we thought it'd be interesting to get a group of tasters together to tour four of these chains all in one day to compare the burgers (and fries!) one after another. Drawing: What's your favorite burger in the Capital Region? Drawing's closed! Winner's been emailed! This week we have a string of burger-related posts lined up -- sort of a fast-casual theme week. And to get things started we thought it'd be fun to have a drawing in which we ask about your favorite burgers. 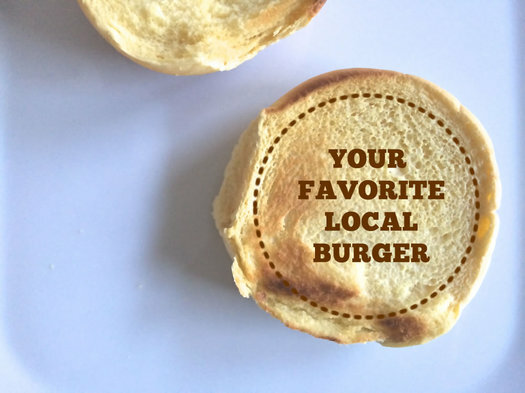 What's your favorite burger in the Capital Region? Please mention just one burger at one place in your comment. If you'd like to top your answer with a sentence or two about why it's your favorite burger, we'd very much appreciate it. We'll draw one comment at random, that person will the get the gift certificate. One important restriction: The burger place must be in Albany, Rensselaer, Saratoga, or Schenectady county. We're looking forward to hearing about your favorites. Important: All comments must be submitted by 11:59 pm on Wednesday, September 21, 2015 to be entered in the drawing. You must answer the question to be part of the drawing. (Normal commenting guidelines apply.) One entry per person, please. You must enter a valid email address (that you check regularly) with your comment. The winner will be notified via email by noon on Thursday and must respond by noon on Friday, October 23.